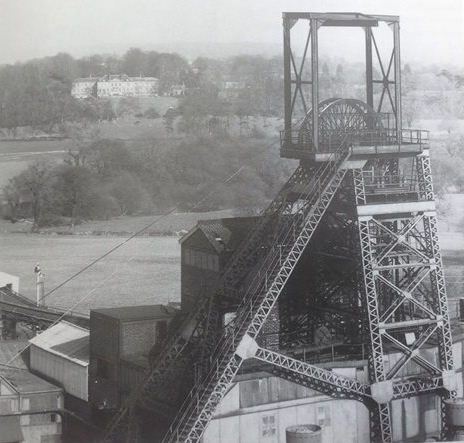 When the colliery first opened it was named Glan-yr-afon Colliery. Operated by Bersham Coal Company, the first shaft was sunk in 1864 on the site of a brickworks immediately adjacent to the Shrewsbury to Chester railway line, however due to difficulties the pit did not reach the main coal seams and the site was left abandoned until 1871 when the pit was deepened by new owners, the Barnes family of Liverpool; coal production started in 1874 with two shafts; No.1 at a diameter of 10 feet and depth of 420 yards, and No.2 shaft at a diameter of 12 feet and a depth of 421 yards. 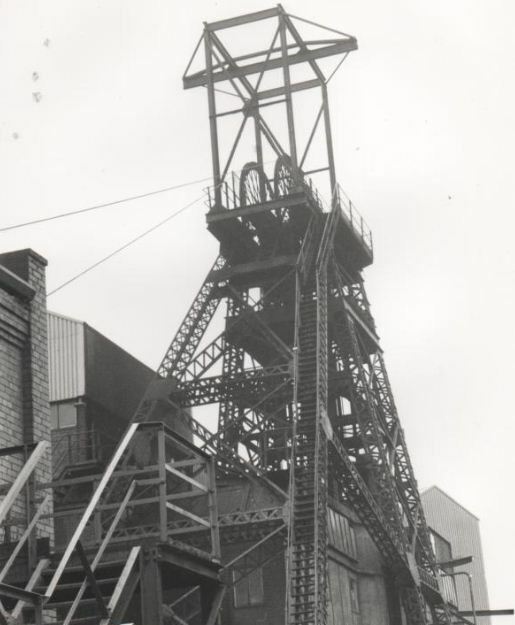 The colliery worked for six years without major incident until 1880, when a major underground explosion (which blew many Villagers out of their beds) killed 9 men, among them the colliery manager, William Pattison. 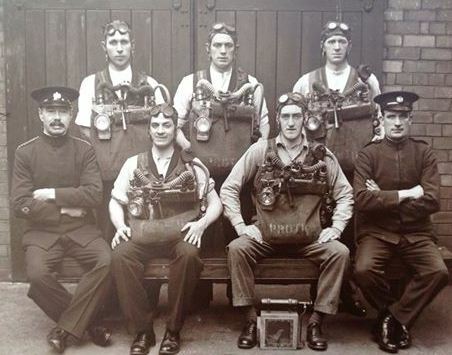 Joseph Matthias, Edward Owen, John Jones, James Roberts (all firemen), Thomas Evans, Evan Parry (Colliers), Robert Lloyd (Hacker) and Henry Valentine (brought out alive but died a few days later) all met their deaths. 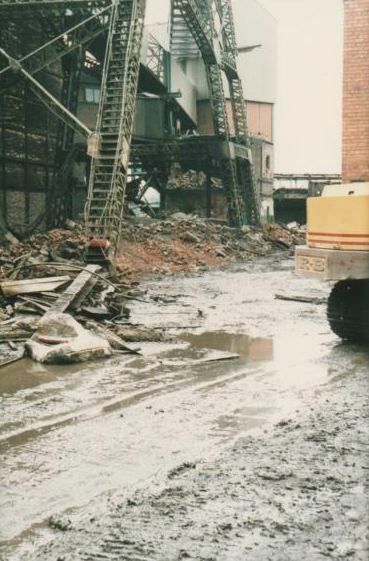 The bodies were laid on the ground to be identified by relatives, some tried to wash them on the spot but found they were far too charred and eventually they were placed in coffins and taken on a cart to their homes to await burial. 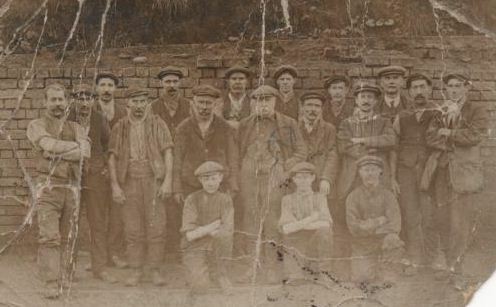 In 1896, there were 711 men working at both shafts. 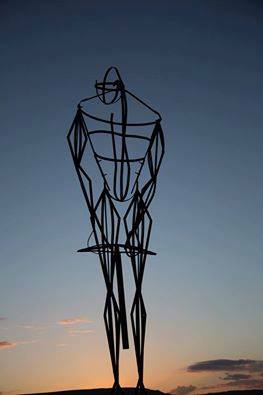 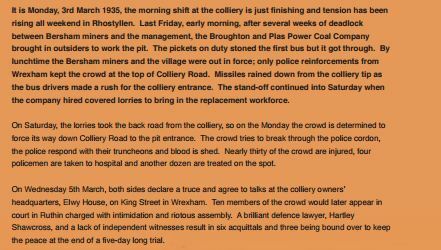 There was further growth at the colliery, with 848 men working there by 1908, and 878 by 1918. 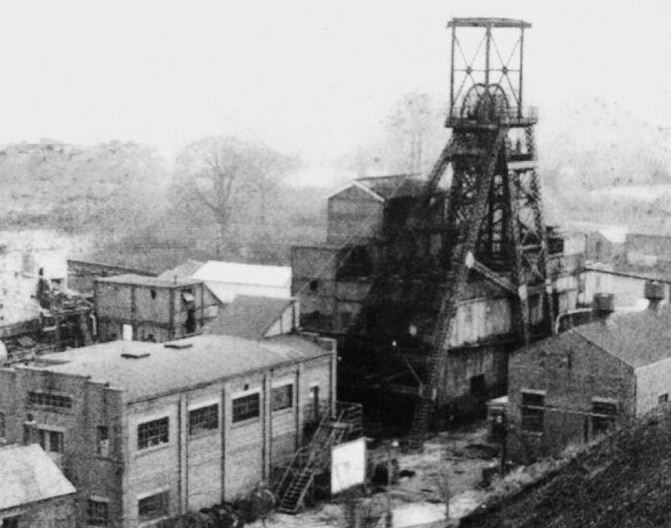 As with most mining communities, sons followed their fathers into the mines and as such the local community of Rhostyllen grew in size. 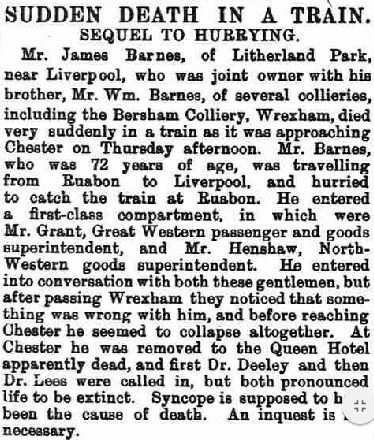 Another explosion killed a number of men in 1909. 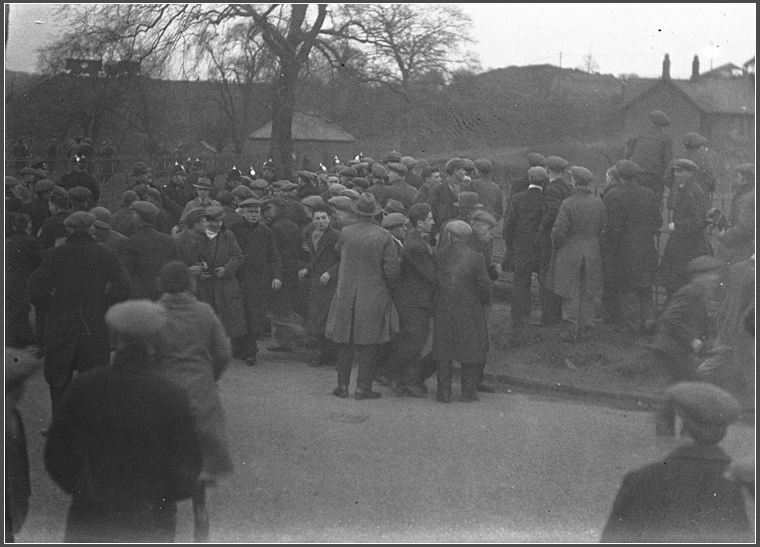 This was the final major incident at Bersham, barring another in 1933, when the timber headgear burned to the ground. 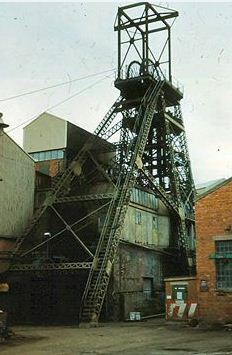 Replacement headgear which still stands today was purchased and moved from the nearby Gatewen Colliery at Broughton, Wrexham. 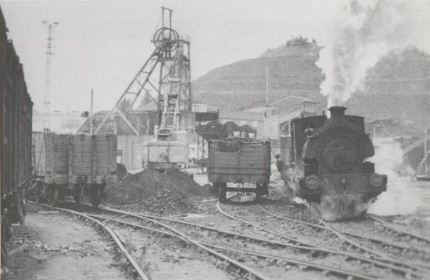 Before 1935, mining at the colliery had been done by hand, with mechanisation appearing in the mine at this time. 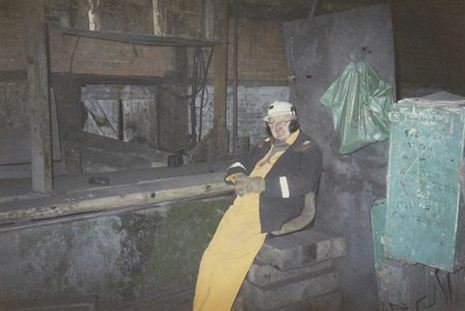 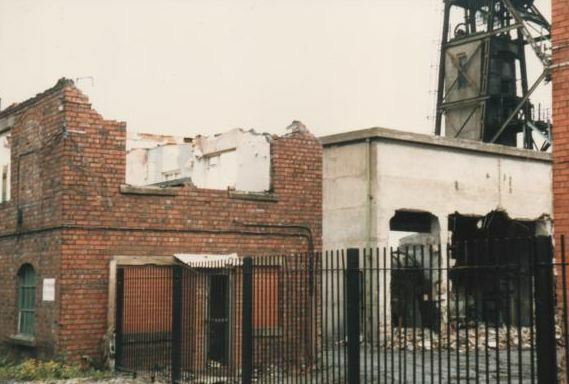 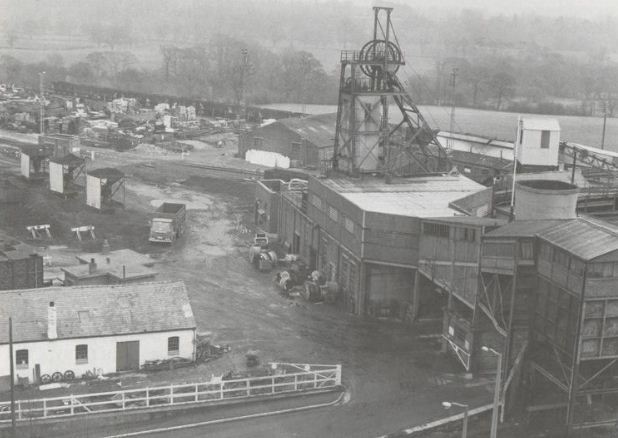 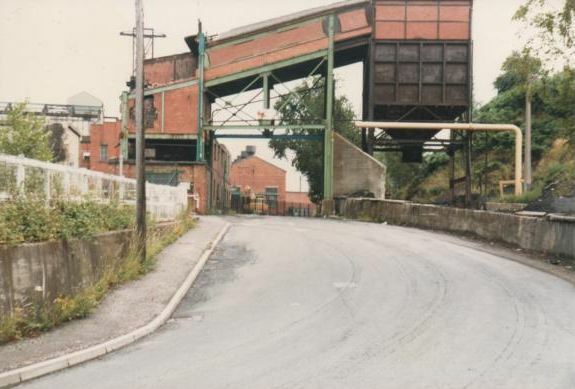 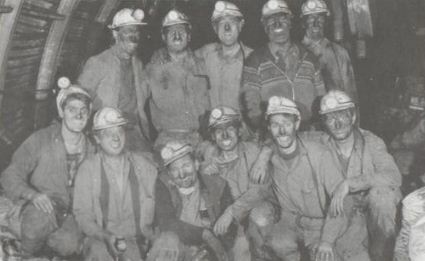 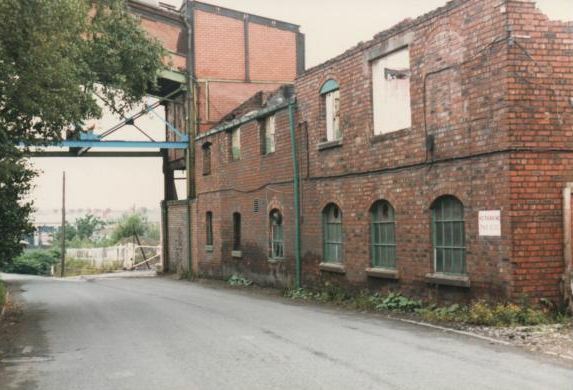 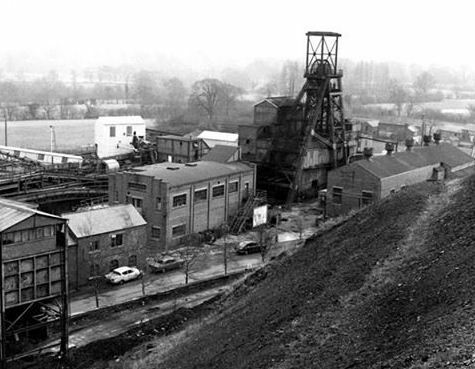 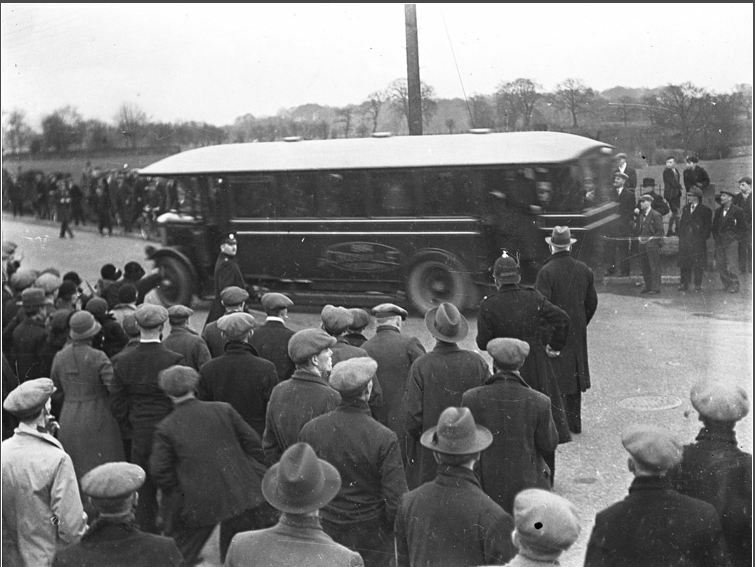 As the miners at Bersham had no experience with the machinery, miners from other local mines that did were brought in to assist, causing friction between the two groups. 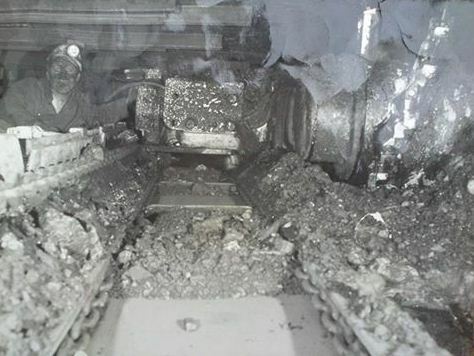 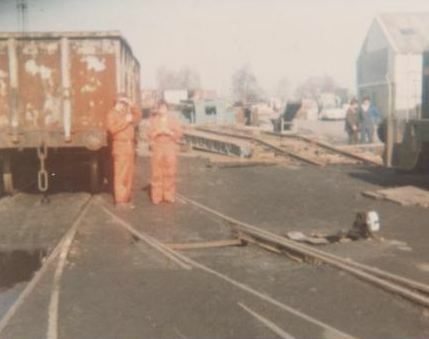 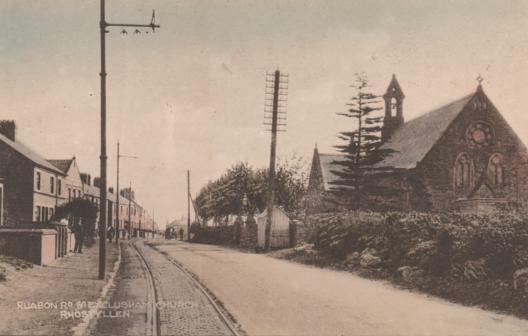 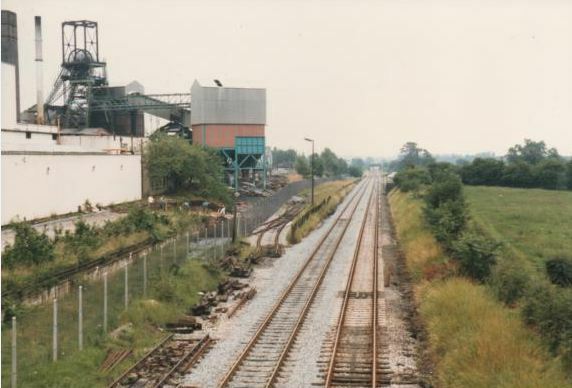 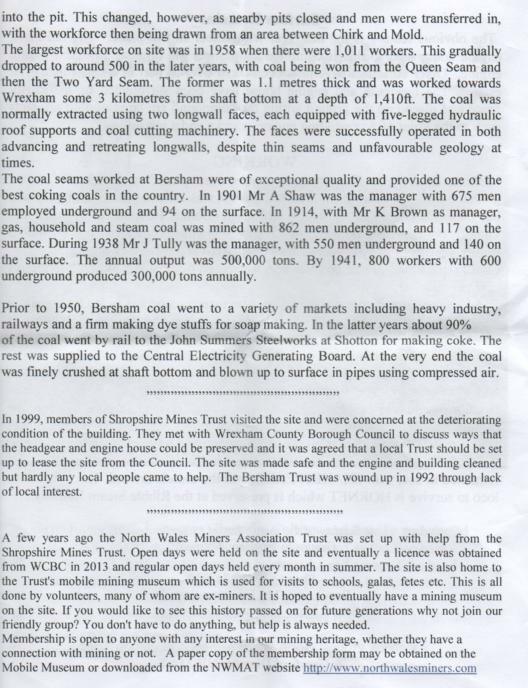 Mining was difficult in Bersham, with seams less than 2 feet high, and a geological faultline, the Wrexham-Staffordshire faultline, running nearby meant that seams abruptly stopped. 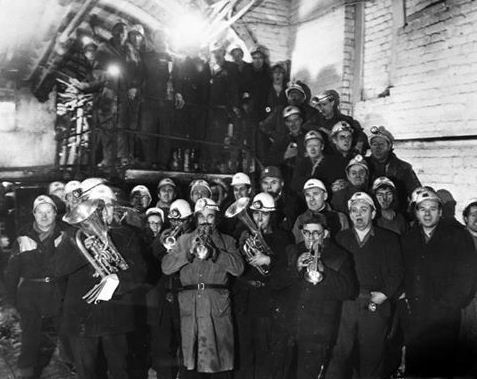 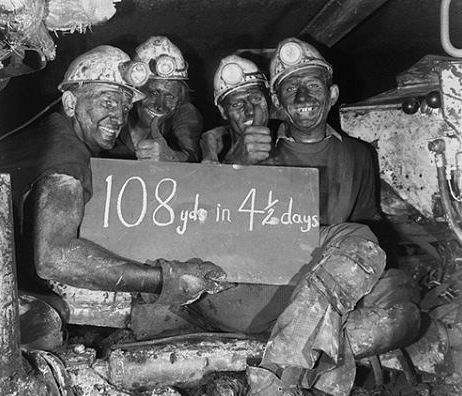 In 1923, the mine employed 808 men, and this decreasing to 800 in 1945. 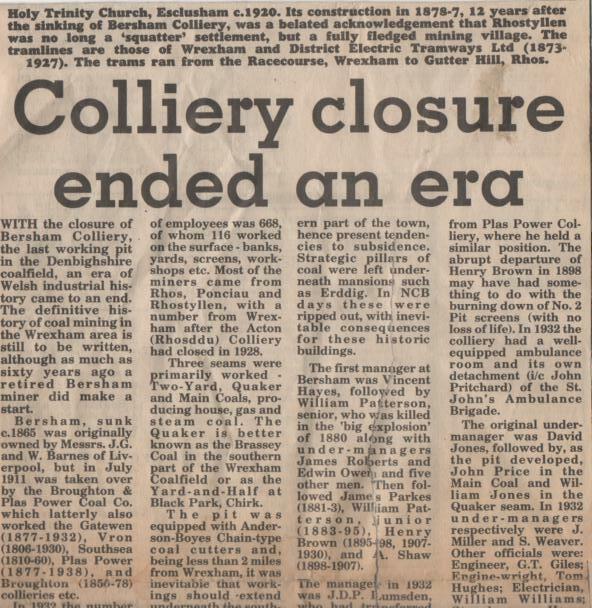 Ownership during this time appeared to jump between Broughton & Plas Power Coal Co. Ltd and Bersham Colliery Company Ltd, with ownership changing between the two three times, with Broughton & Plas Power Coal Co. Ltd finally retaining ownership of the mine up until nationalisation in 1947. 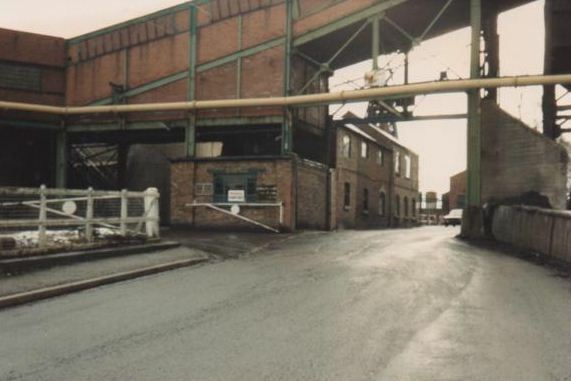 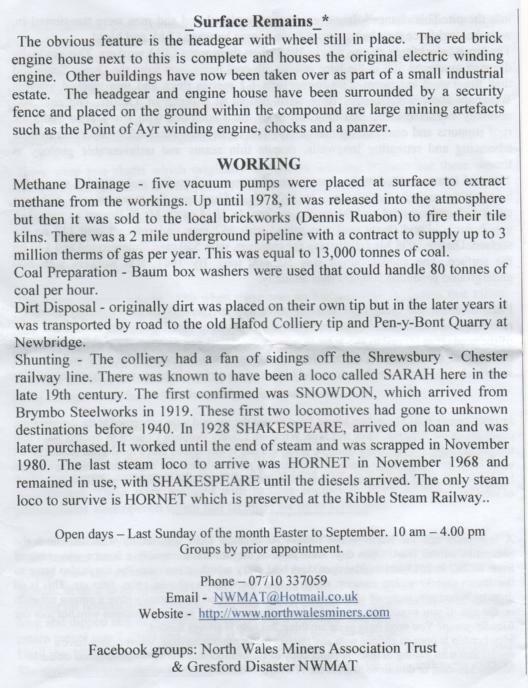 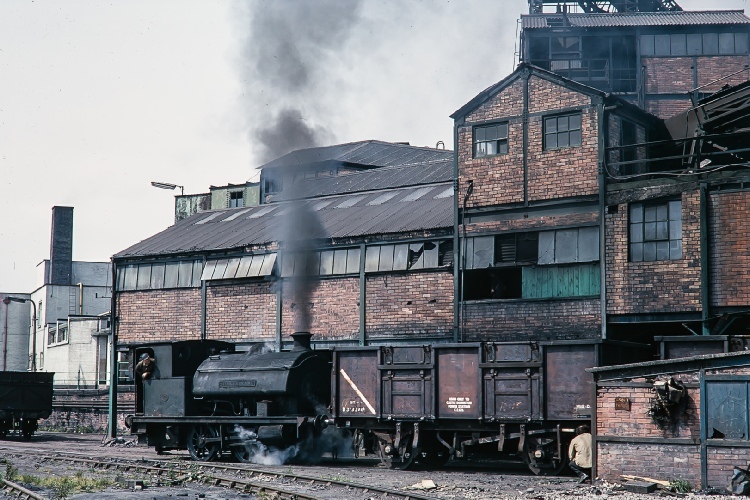 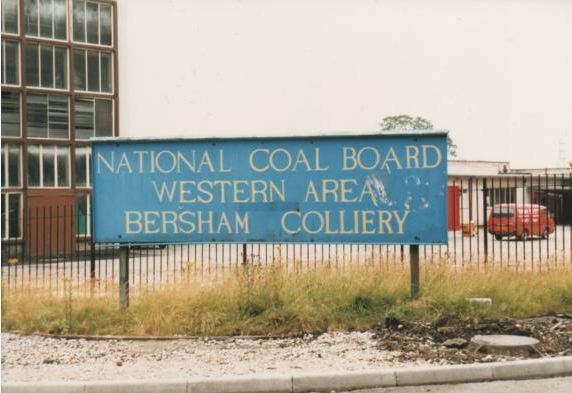 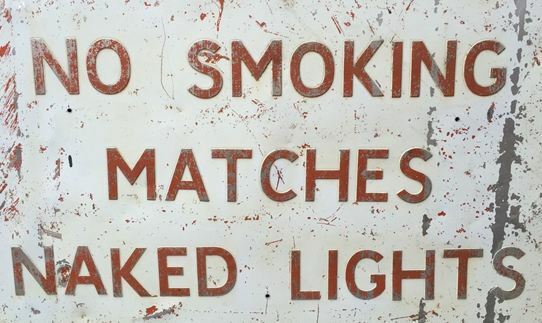 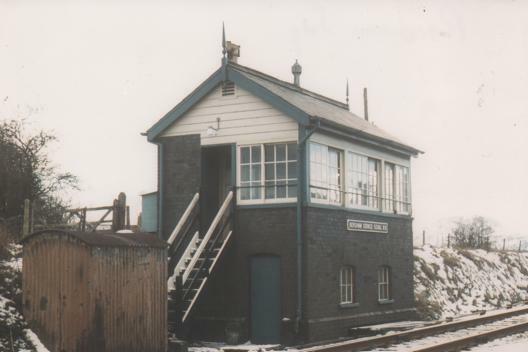 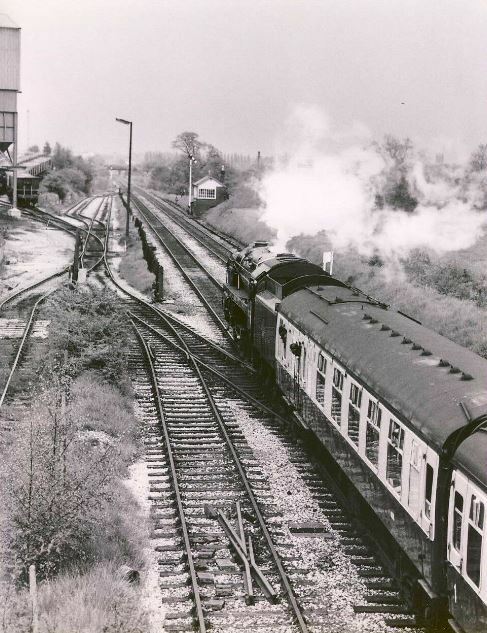 On 1st January 1947, along with the rest of the coal industry, Bersham was nationalised and placed under the control of the National Coal Board. 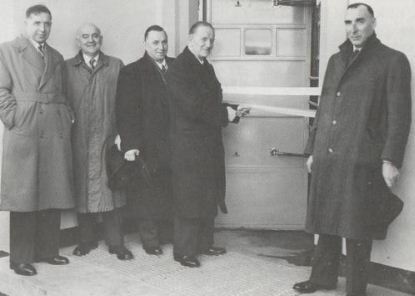 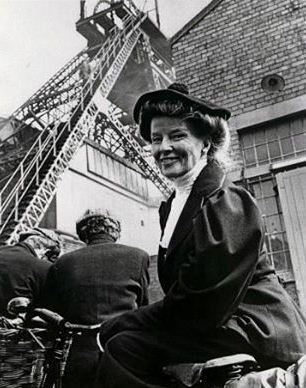 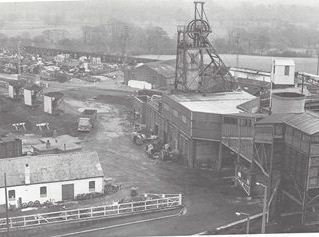 The colliery was immediately modernised, completed in 1954 with a new block housing new pithead baths, canteen and offices designed to cater for up to 1,100 men. 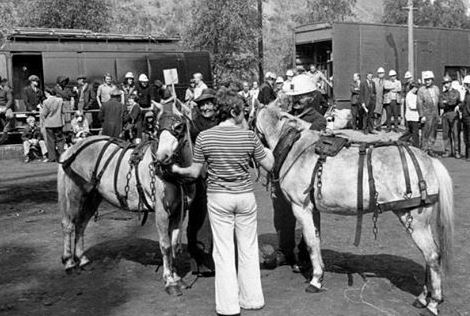 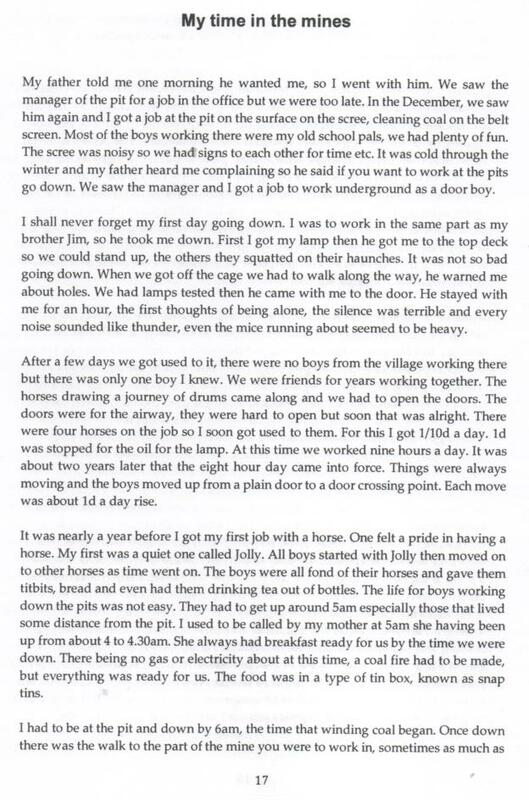 The pit ponies at Bersham numbering near 100, which had been underground for most, if not all of their lives, were retired in the same year and replaced with mechanical traction. 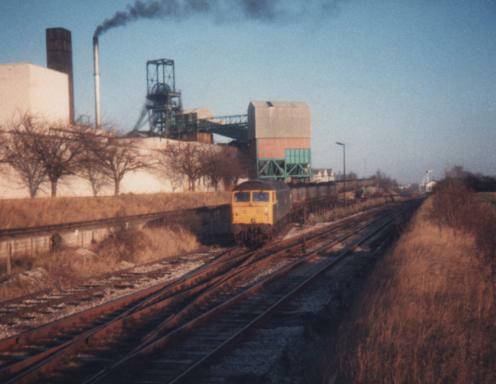 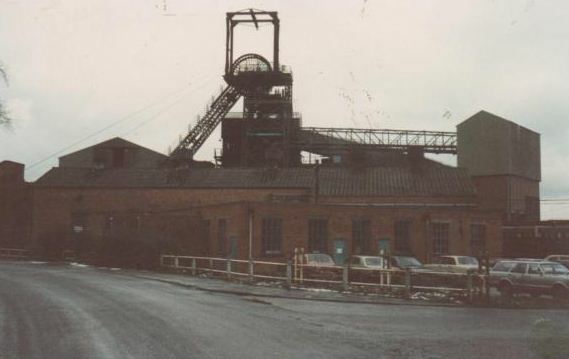 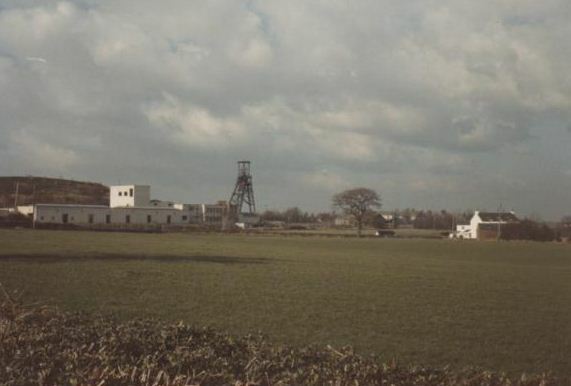 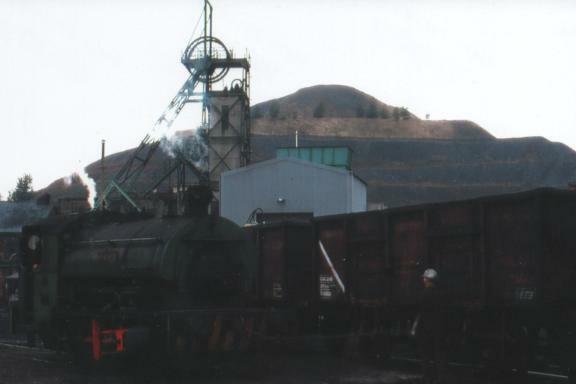 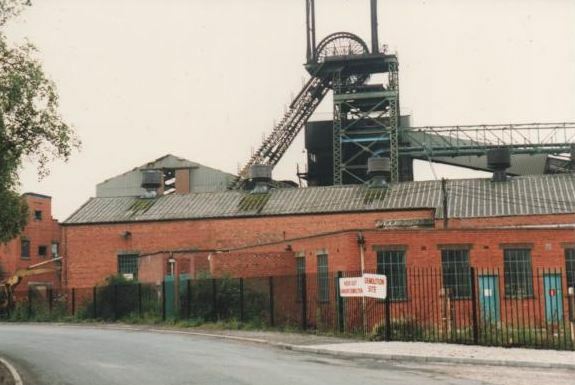 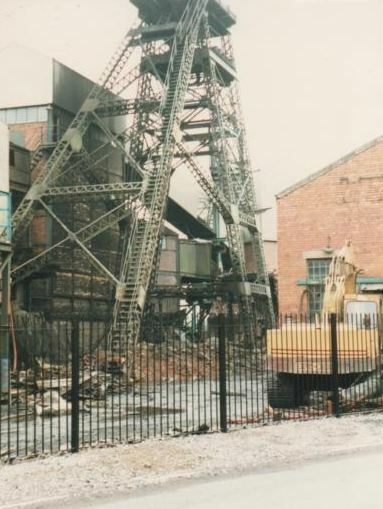 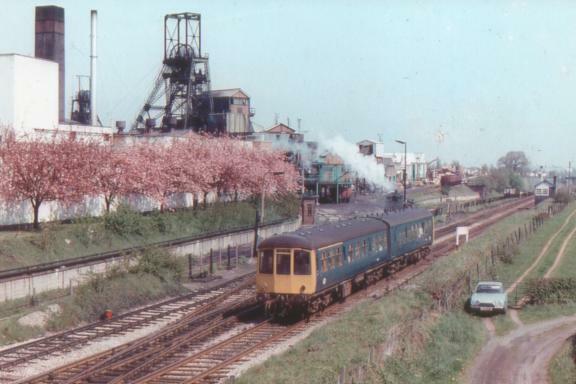 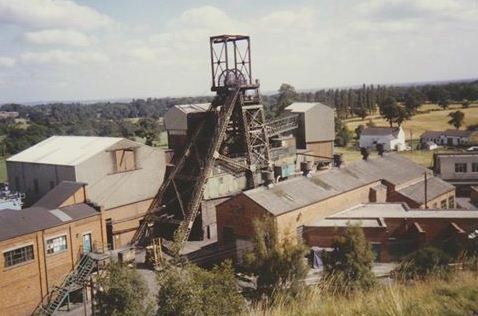 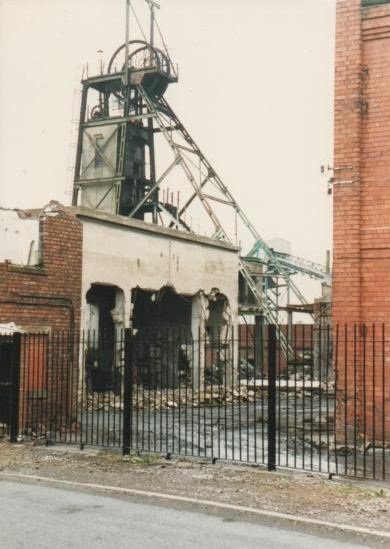 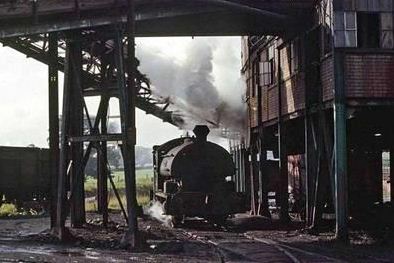 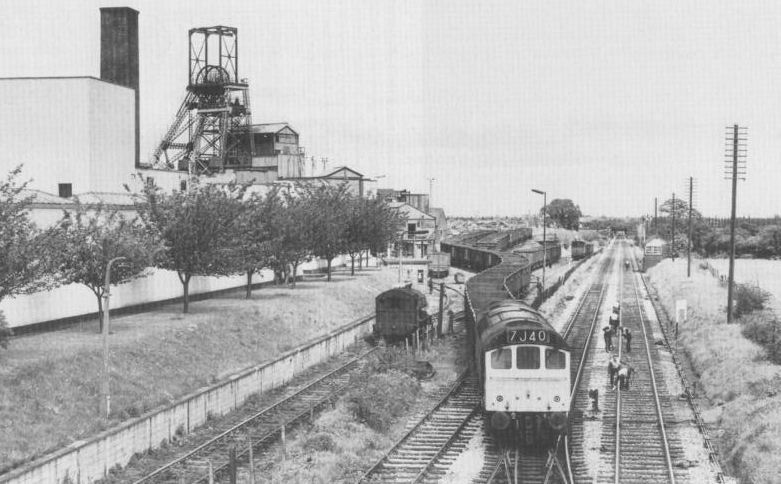 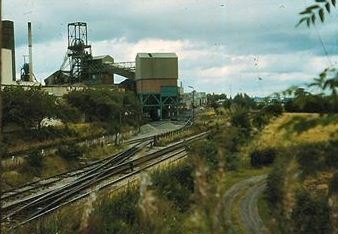 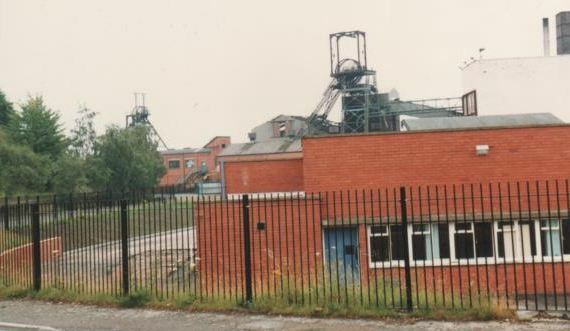 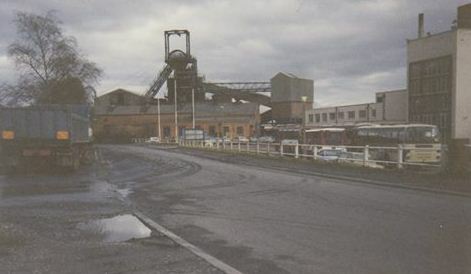 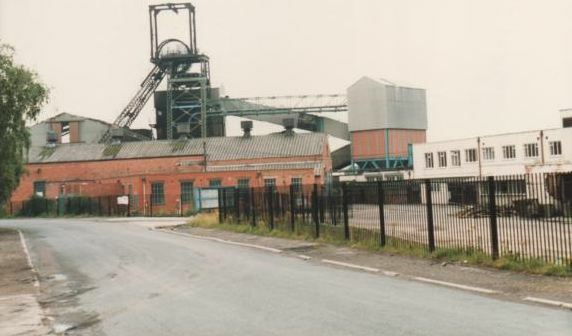 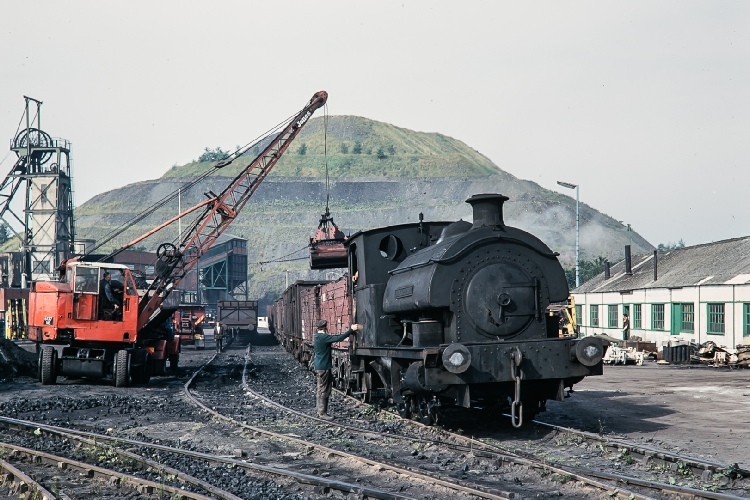 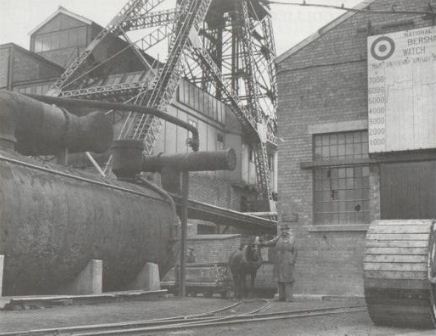 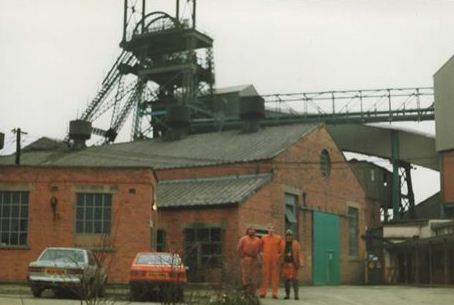 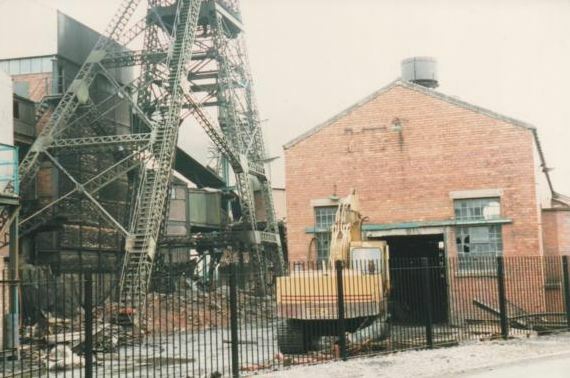 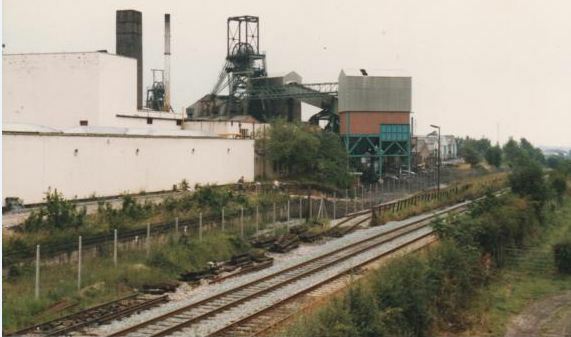 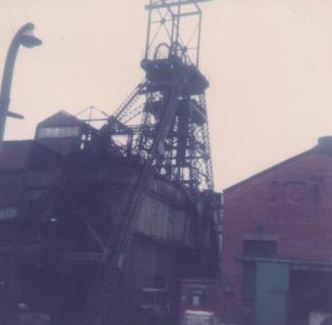 The colliery reached its largest size in 1958, with 1,011 recorded at the site. 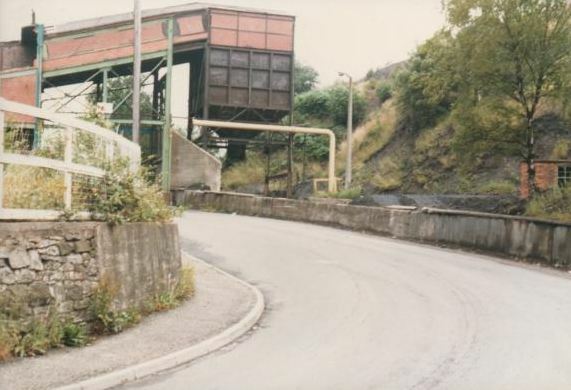 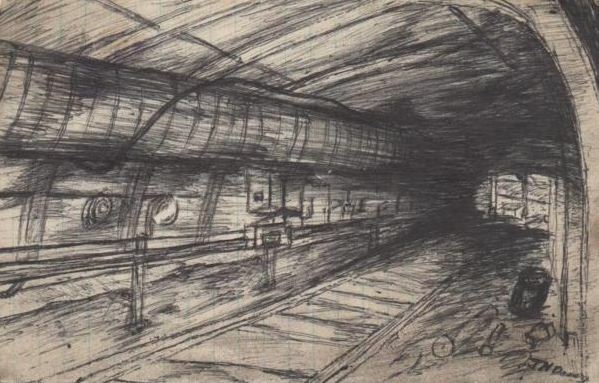 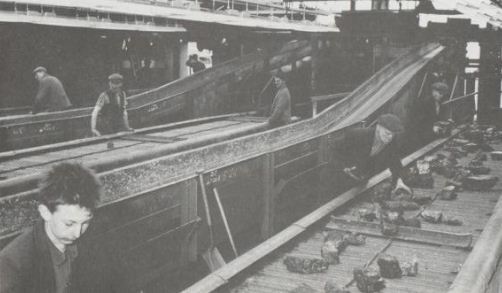 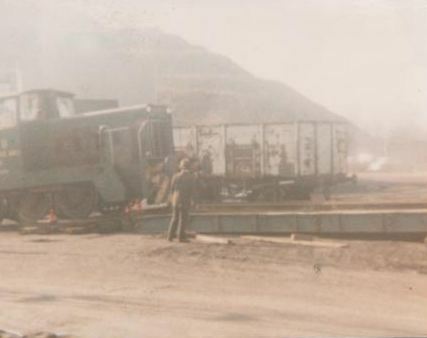 In 1961, more mechanisation was brought into the mine, including conveyor belts to convey coal to the surface faster. 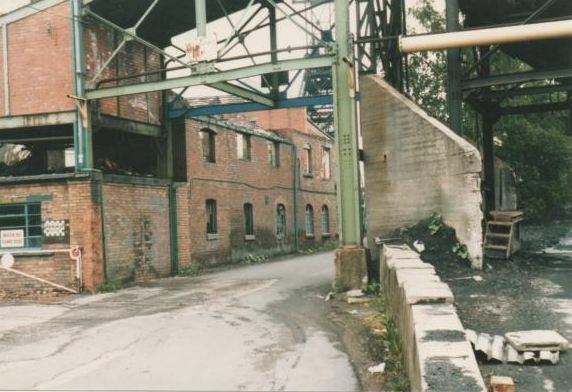 With the expanding tunnels into the surrounding area, care had to be taken to avoid subsidence. 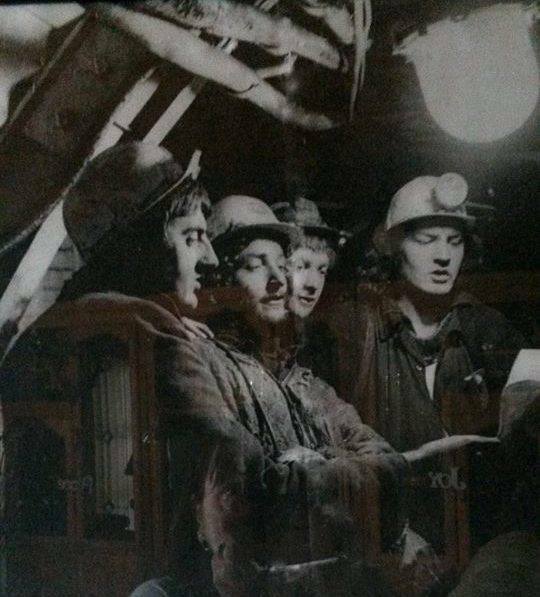 To this end a large pillar of solid coal was left untouched to allow the nearby home of the Yorke Family, Erddig Hall to remain out of danger. 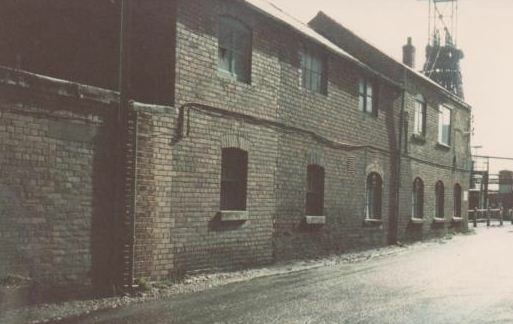 Unfortunately this did not prevent subsidence and in 1973, subsidence of 5 feet occurred, leaving the house structurally unsound. 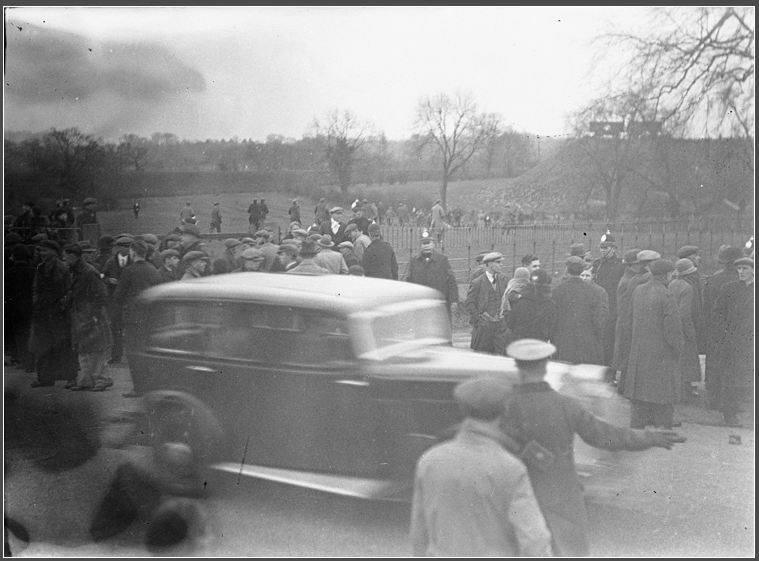 Eventually the owner of the estate, the last Squire Yorke had to move out of Erddig and left the property to the National Trust. 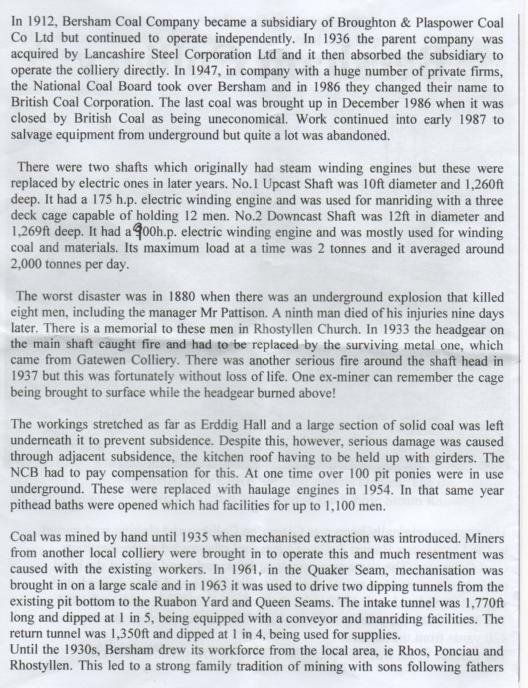 The National Coal Board paid the trust compensation of £120,000 to stabilise the building through underpinning. 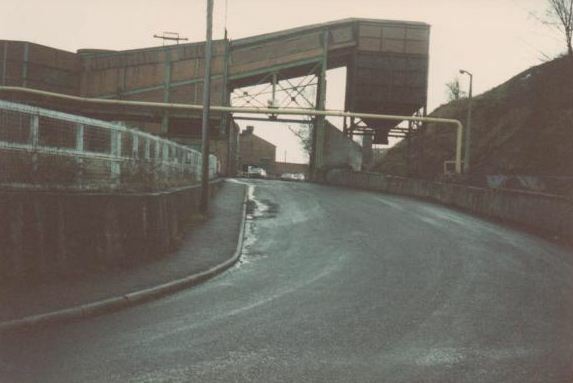 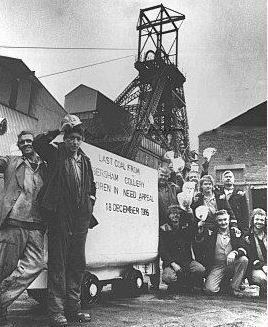 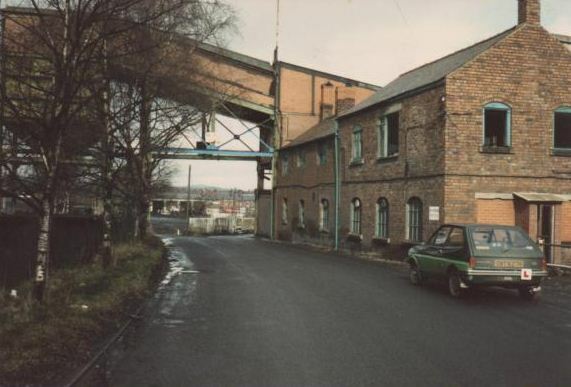 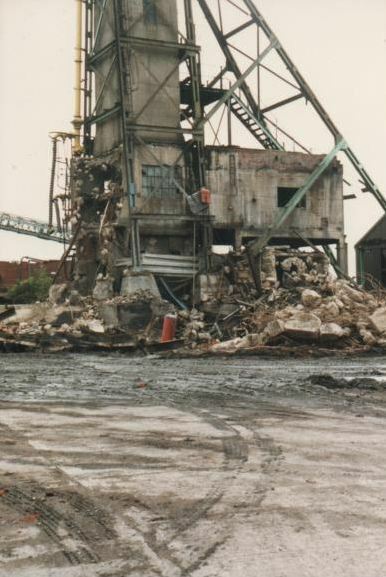 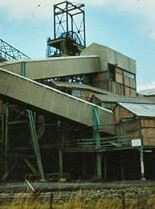 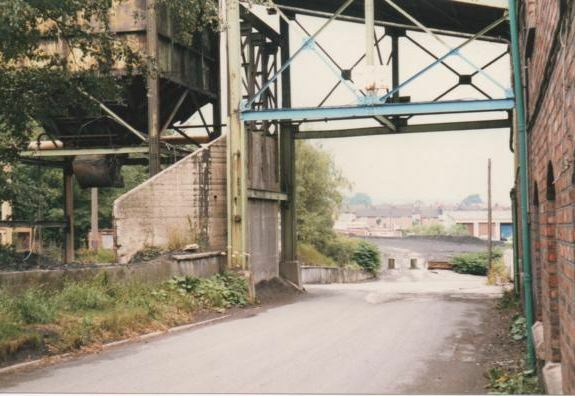 Bersham Colliery was closed with the loss of 480 jobs in December 1986 due to unfavourable economic conditions and loss of markets. 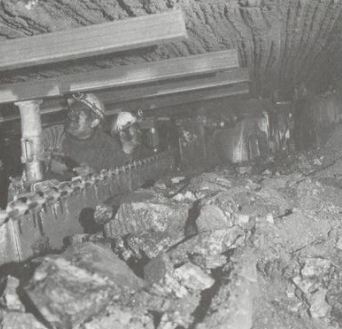 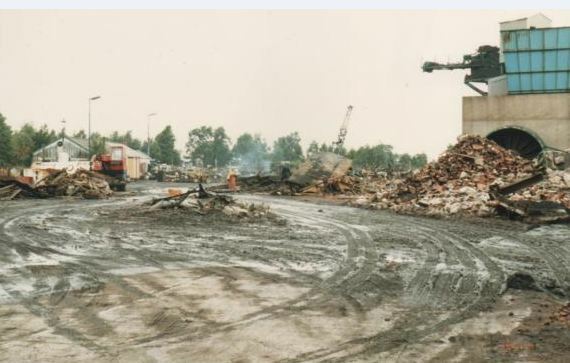 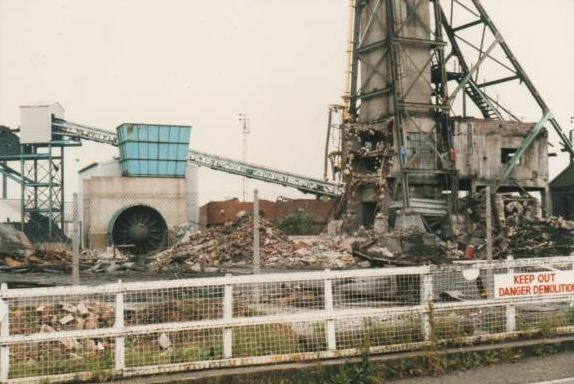 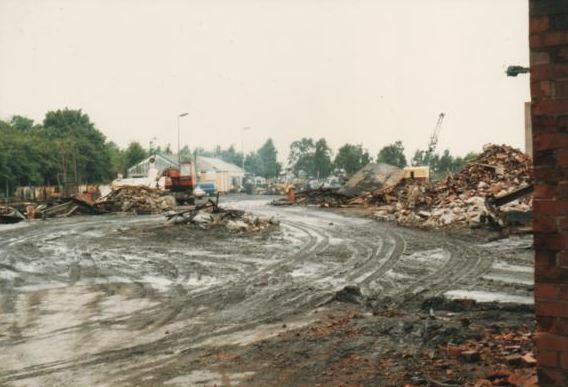 The large amounts of equipment still underground meant that salvage operations continued into 1987 however a great deal was left in place. 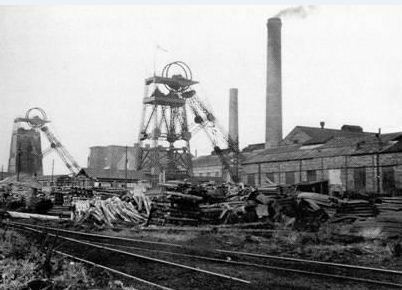 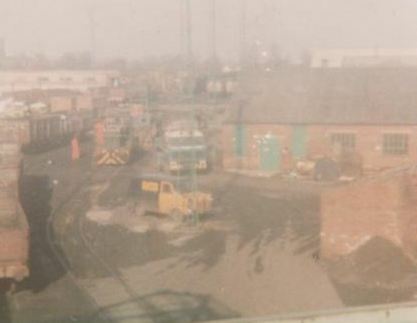 Most of the surface buildings were demolished shortly after with the main exceptions of the No.2 headgear with its wheel, and its engine house complete with electric winding gear. 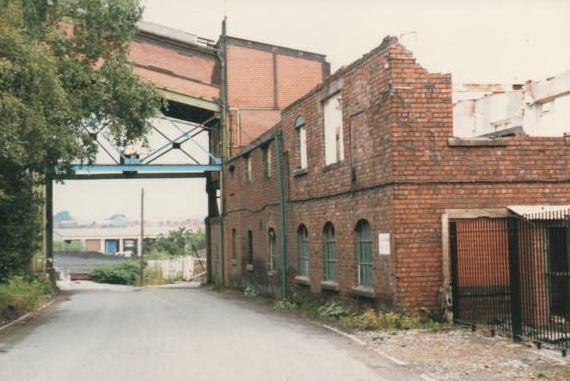 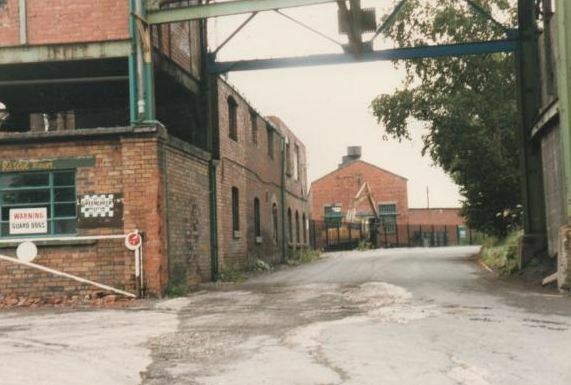 Other remaining buildings have remained as part of a small industrial estate. 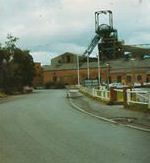 The most prominent landmark left by the colliery is that of its spoil tip, known as Bersham Tip. 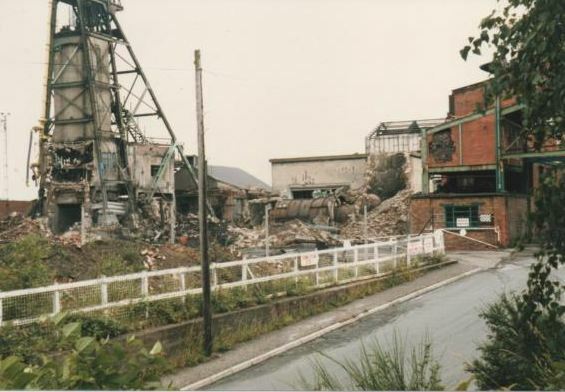 In my opinion the heart and soul was ripped out of the village of Rhostyllen forever when the pit shut down. 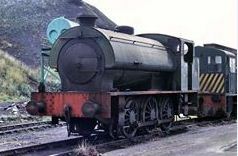 It seemed to lose its character and more importantly its characters. 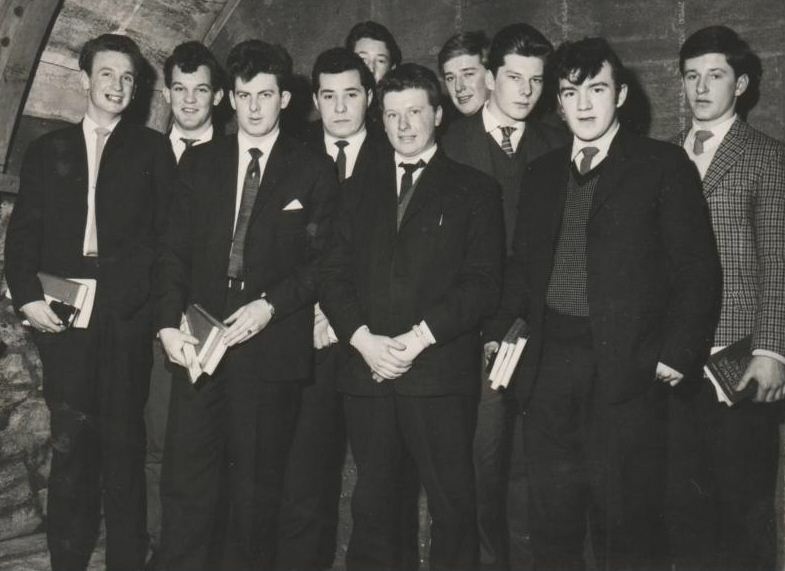 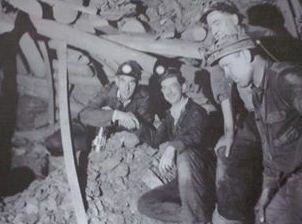 3rd right Jim Rogers, 5th right Alan Ellis and 3rd left Ray Taylor. 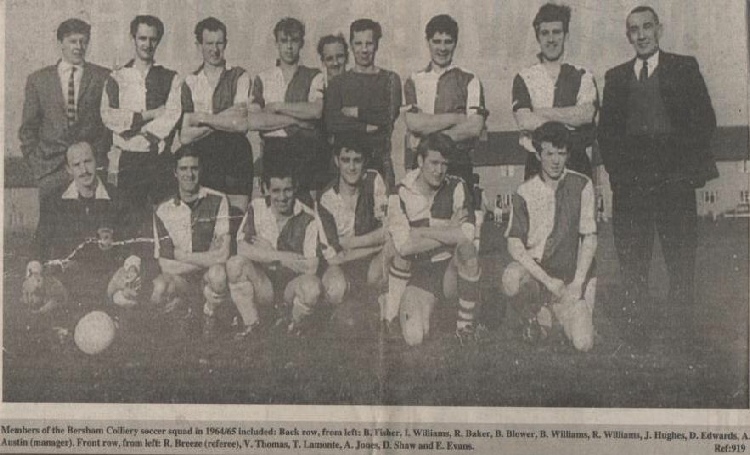 When not down the pit Rees was to be found displaying his tough tackling talents for various Rhostyllen football teams! 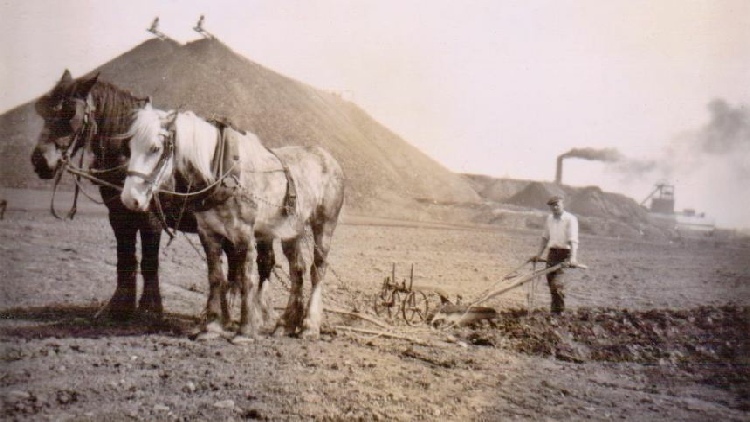 1950’s - Ploughing the fields on Pickering’s Farm with Bersham Colliery in the background. 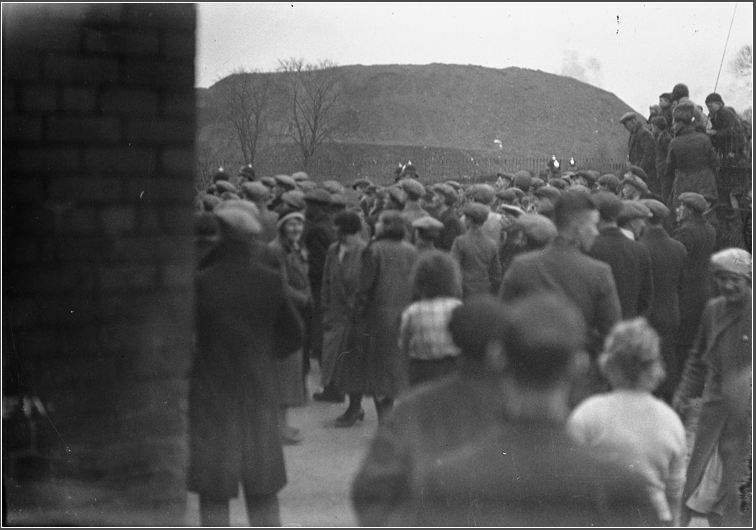 The two objects on top of the colliery bank are conveyer belts taking the slag to the top. 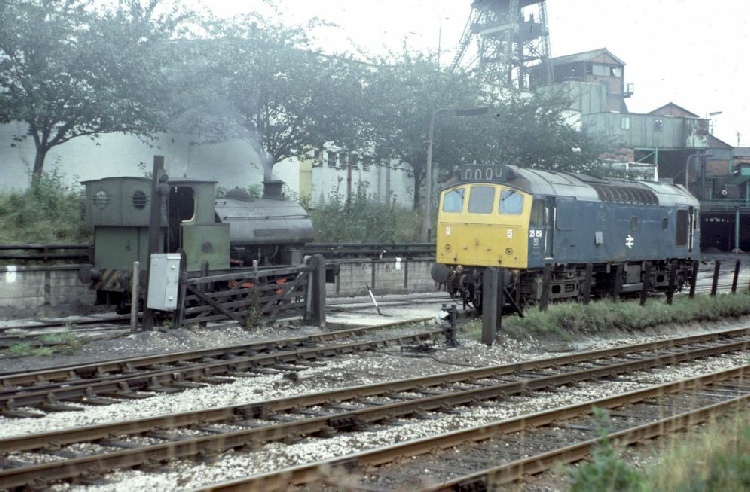 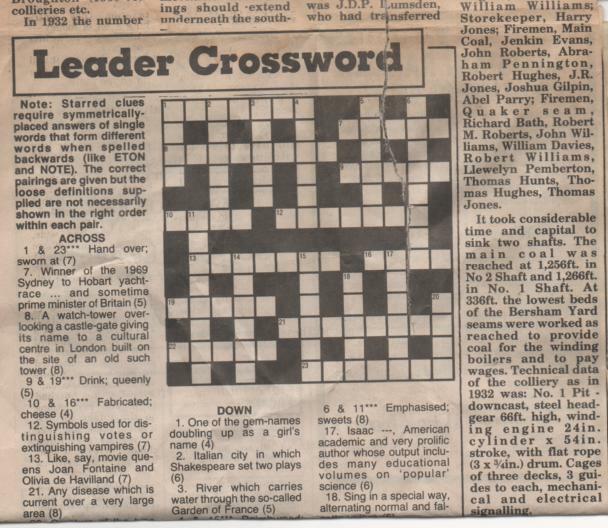 These photographs were taken by Ian Pritchard in September 1976. 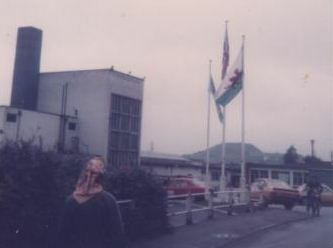 The person featured in the second photograph is Rees from Bryn Offa. 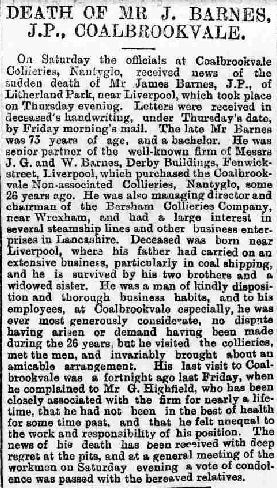 1899 - The Death of Mr James Barnes (Chairman and Managing Director of Bersham Colliery). 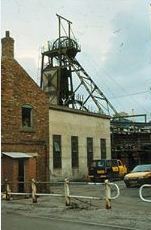 His company started coal production at the Colliery in 1874. 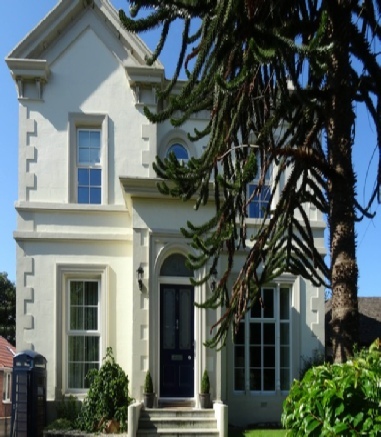 He lived at this house in Litherland Park, Liverpool. 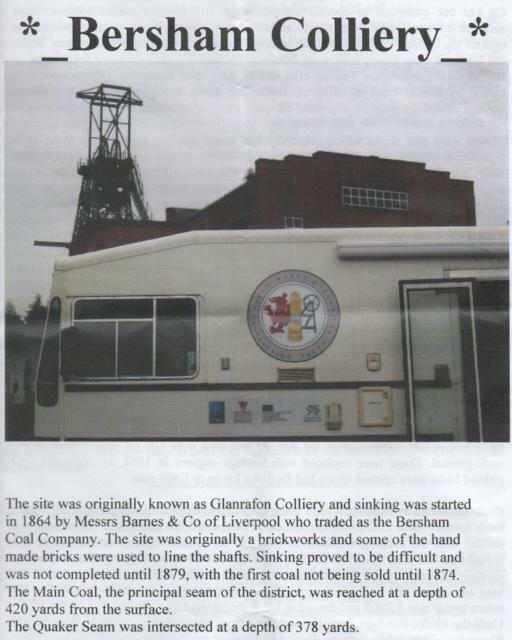 Many thanks to Ed Conley for supplying the above information. 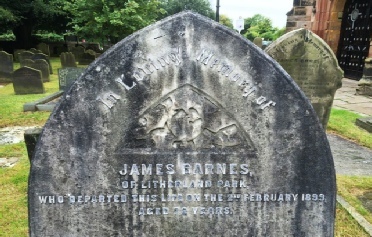 Ed lives in James Barnes’ old house in Liverpool. 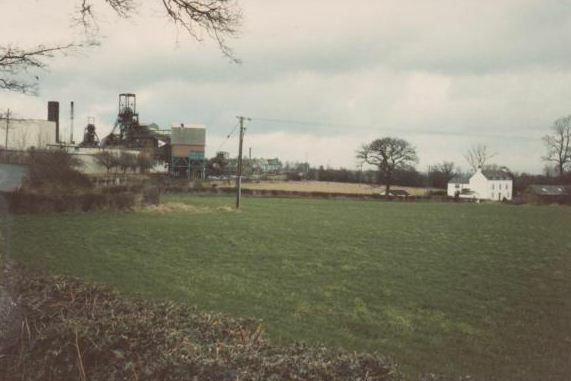 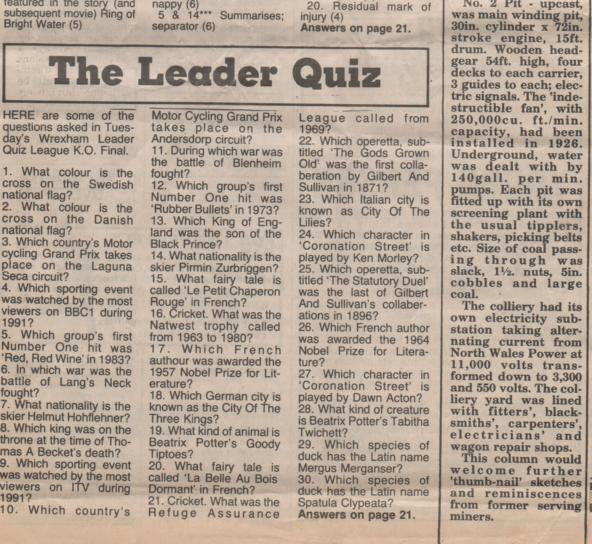 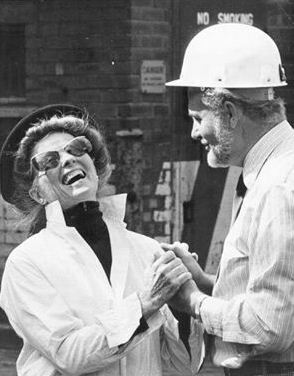 The TV film The Corn Is Green was filmed at Bersham Colliery and Erddig Hall in 1978. 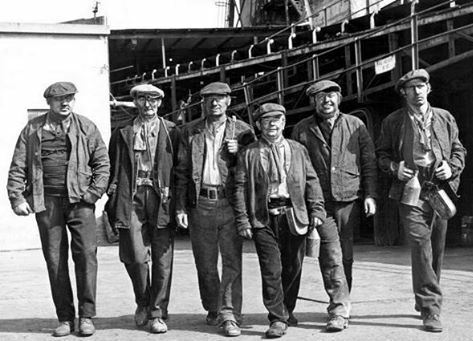 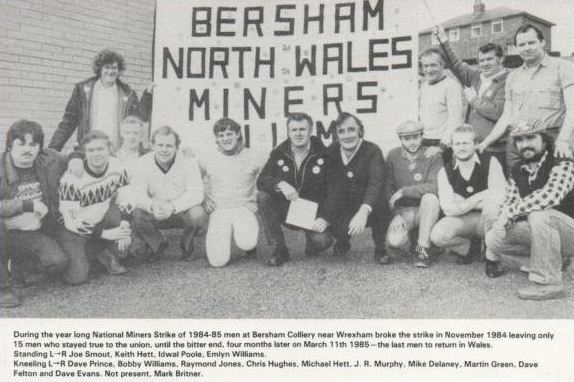 The photo is of the Bersham miners who were extras in the colliery scenes. 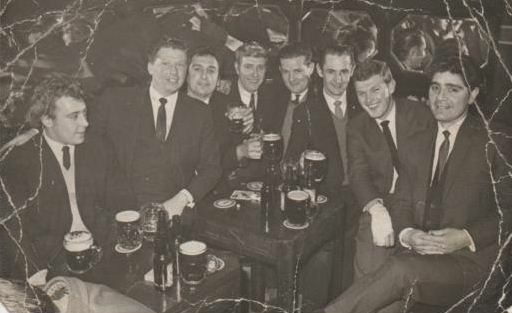 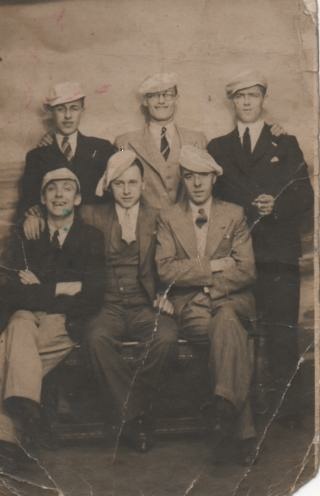 They include back row 1st left Ray Lodwick, back row 6th F from left Rees Thomas, front row 3rd from left Len Hignett (Skid) ! 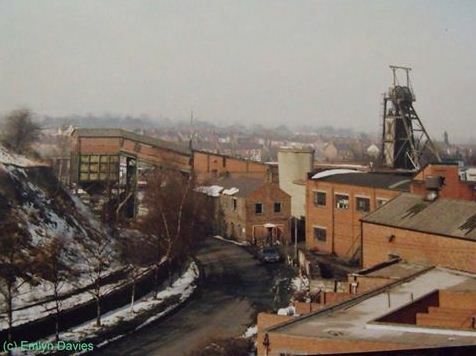 Thanks go to Nige Jones. 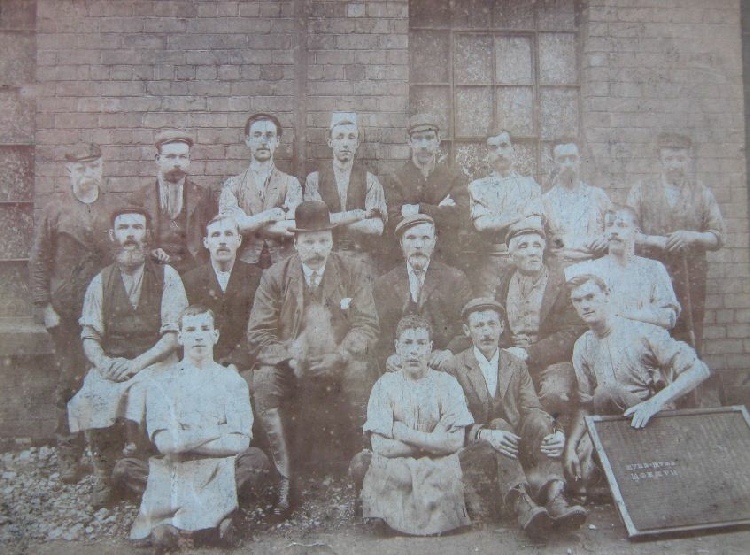 ‘Shakespeare’ - All of the images below depict R & W Hawthorn, Leslie & Co. Ltd of Newcastle on Tyne No. 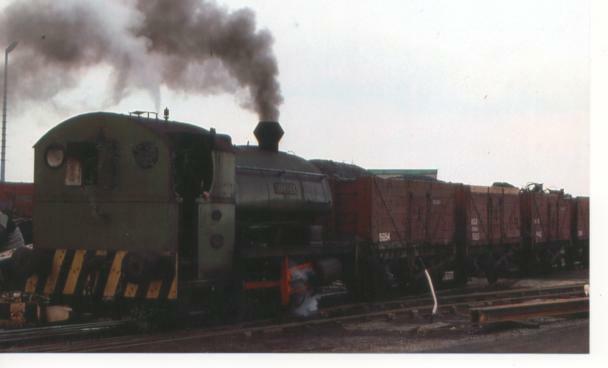 3072 built in 1914 ‘Shakespeare’. 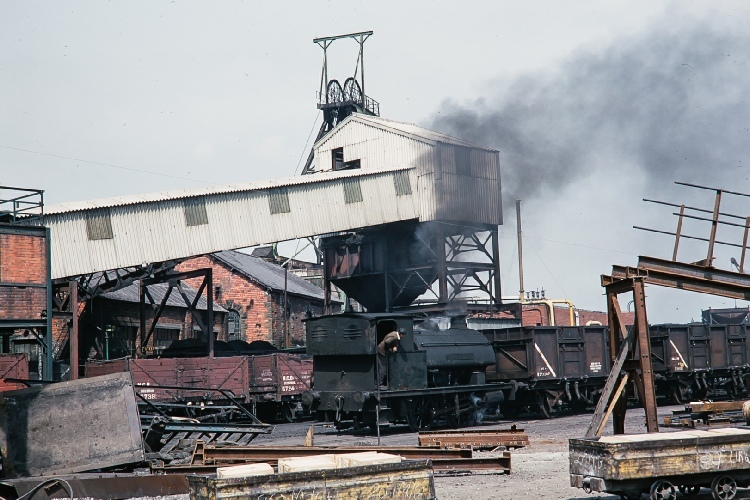 All photographs were taken by C.M.Whitehouse (05/07/73), courtesy of the Dave Waldren collection. 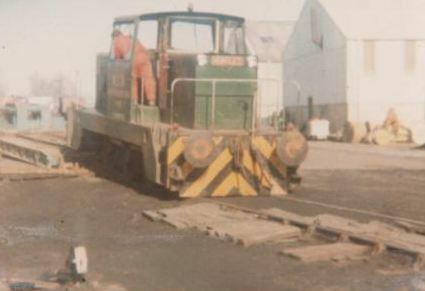 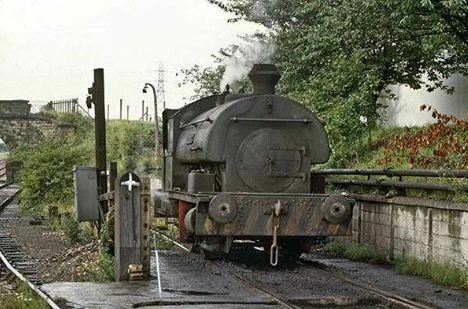 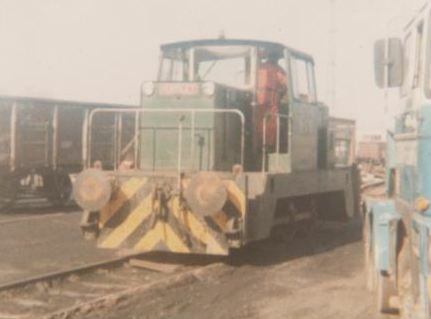 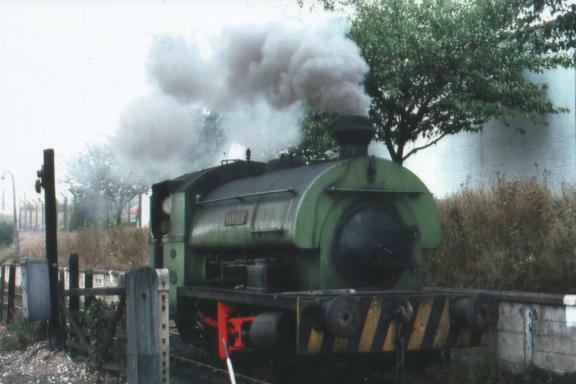 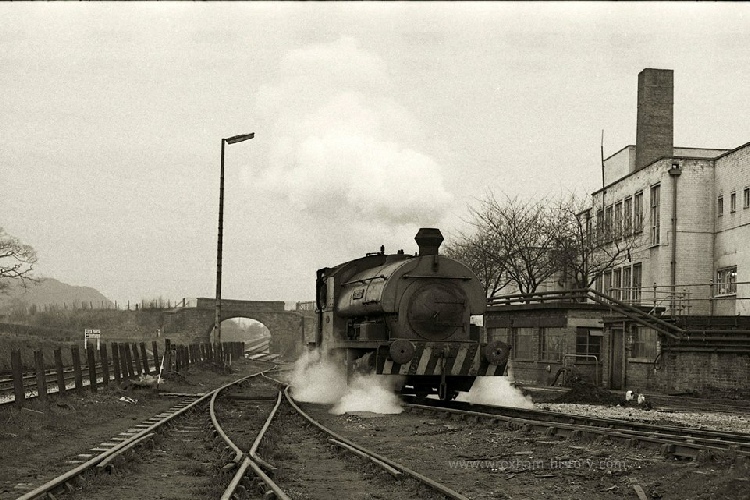 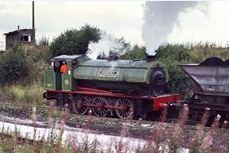 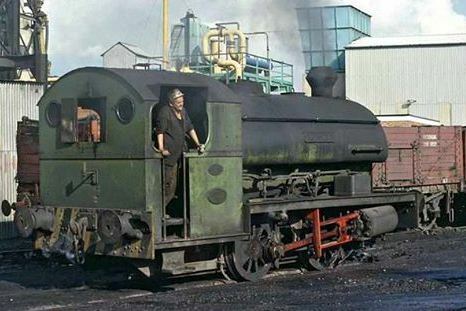 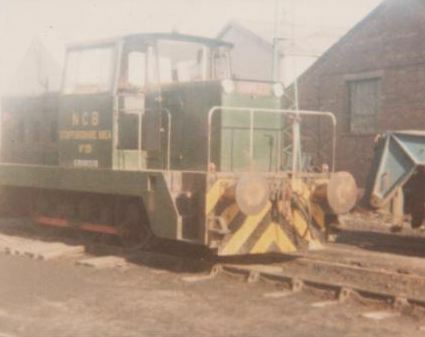 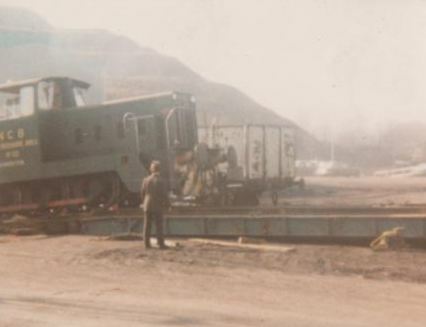 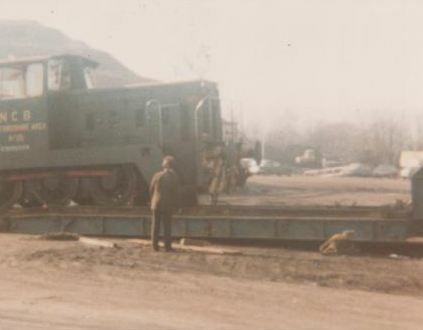 “What a shame the loco Shakespeare was scrapped instead of being preserved” Dave Waldren.